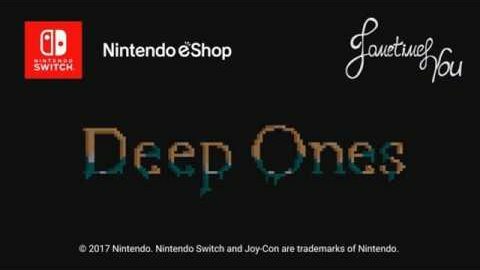 Deep Ones is a retro arcade-platformer with multigenre parts, inspired by ZX Spectrum, Bioshock and works of H. P. Lovecraft. The game is available via Steam, for Nintendo Switch™, Xbox One, PlayStation 4 and PlayStation Vita. The main protagonist of this story suffers a crash on his submarine. The great red octopus is the reason of this, his will of destroying every traveler that he encounters may seem unbeatable, but Diver isn’t exactly as simple as he looks. He is encouraged to walk along the bottom of the ocean, plunge into the depths of the darkest corners, to rip and tear through the thick plants of sea weed and fight with the most unknown creatures of the world that is beneath, just to get his submarine back in his command. On his path, he will witness many beautiful landscapes of the scenery and will acquire many trustworthy allies, all of which will also enrich his stories that will be worthy of telling about… That is, of course, if you’ll be able to help him survive and triumph over the evil. – Different genre entries, for example, „shoot ‚em up“ genre will make it’s way into the game, at a certain point. 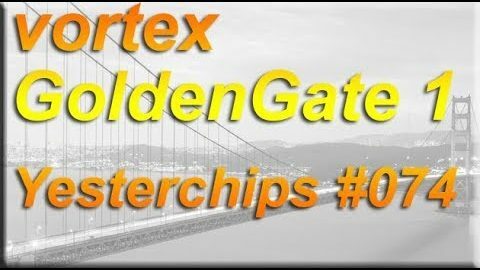 Neben Commodore entwickelte und vertrieb auch der deutsche Hersteller Vortex Brückenkarten für den Amiga. In dieser Folge schauen wir uns an, was die Karten im allgemeinen ausmacht, wie man sie installiert und was darauf so alles läuft. Coffee Crisis is an neo-rogue brawler that puts you in the shoes of the only baristas on Earth with enough heavy metal in their veins to fend off an alien assault. Play solo or join up with a friend to fight across eight unique locations ranging from your Coffee House HQ to the far reaches of outer space. The release of this game is planed during May 2018. If you can’t wait, there is a Mega Drive / Genesis physical release as well! Space God ist ein Top-Down Shooter im Retro-Stil. Spiele als Einzelspieler, zu Zweit oder im Online-Multiplayer-Modus. Solange du in Bewegung bleibst, solltest du überleben… behaupten zu mindestens die Entwickler Jellypig Games. Wie bei jedem zünftigen Shooter gibt es natürlich massig Upgrades! Das Spiel kostet derzeit 4.99 EUR über Steam. 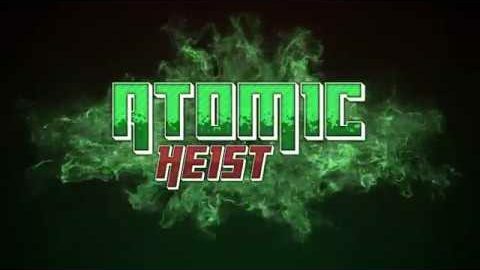 Atomic Heist by Live Aliens is a sci-fi roguelike twin-stick shooter. Control your combat ship and fight your way out of the overrun space station. The nuclear core you have to steal is leaking radiation, so you need to hurry and escape! Manage your ammo carefully and collect power-ups to enhance your ship. The game currently sells for 10.99 EUR.